MultiLotto review – Is online lottery site MultiLotto legit or a scam? Is the online lottery site Multilotto legit or a scam? Multilotto.com was launched by Multi Pay N.V. and is available to players who are 18 or older, from all around the globe (except for the United States, its territories and other countries such as Puerto Rico, the Virgin Islands, Cuba, Iran, Sudan, North Korea or Syria). One of their key advantages is a multilingual interface (over 15 languages and more to come) and the variety of lotteries. Multilotto’s development started in 2010. It is online for more than 5 years already. Its gaming license is issued by Curacao eGaming. The detailed overview of Multilotto’s services can be found below. This review aims to help players decide if Multilotto is a website worthy of their trust, by answering the following questions: Is Multilotto legit and a safe place to buy lottery tickets? Are Multilotto scam protection and security standards tight enough? Can Multilotto bluff players in any way? The key facts will be listed in the review summary at the end of the article. Multilotto is known as one of the safest lottery agents out there, that takes users’ protection and security very seriously. It doesn’t store your credit card data and guarantees it won’t sell or give away your email or personal information to anyone. Multilotto scam protection and trustworthiness were also confirmed by Norton Safe Web and Google Safe Browsing, and we haven’t come across any scam complaints about Multilotto. Multilotto review: How does it work? Originally Мultilotto offered only 6 lotteries: Powerball, Mega Millions, EuroMillions, EuroJackpot, Bonoloto and La Primitiva. Later they extended their lottery list by adding New York Lotto, Mega Sena, Super Lotto Plus, SuperEnalotto and El Gordo. Here’s a short overview of the most popular lottery games available at Мultilotto. Powerball is an American lottery using a double-matrix – you have to choose 5/69 numbers from the first drum, and 1/26 from the second. The minimum jackpot starts at $40,000,000. Mega Millions is another American lottery, similar to Powerball in many ways. In order to play, you have to choose 5/75 numbers from the first, and 1/15 numbers from the second drum. Matching all the winning numbers can make you at least $15,000,000 richer. EuroMillions is a major European lottery launched in February 2004 by France, Spain, and the UK. Players from several other countries joined in later, in hope to win a jackpot worth €17,000,000 or more. In order to play this game, they have to pick 5/50 numbers from the first drum and 2/12 from the second. EuroJackpot is a relatively young lottery launched in 2012. It’s played by selecting 5 main numbers from the guess range of 1 to 50 and the two additional numbers between 1 and 10. 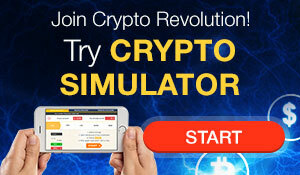 Its minimum jackpot amounts to €10,000,000. Bonoloto is a popular Spanish lottery, with draws held every day with exception of Sunday. Its jackpot can be won by matching 6 out of 49 numbers. Another Spanish lottery available at Multilotto, La Primitiva, also has a 6/49 matrix, but its draws take place only on Thursday and Saturday. The third lottery game from Spain – El Gordo – is slightly different. It has a double-matrix, and you have to match 5/54 from the first drum and an additional number (key number) between 0 and 9 (inclusive) in order to hit the jackpot. Multilotto also offers the most popular game from Italy, SuperEnaLotto, with the very low odds of winning, because it has a 6/90 matrix. New York Lotto and California’s SuperLotto are also available. Multilotto provides a syndicate option: you can play with a group to save your money and increase the chances of winning. Based on statistics most jackpots are won by syndicates. Multilotto displays results for the 11 lotteries it offers, 15-20 minutes after drawings take place. It also allows users to check results of numerous games it doesn’t sell the tickets for including Canada’s Lotto 6/49, Australia’s Powerball and Saturday Lotto, and the UK’s National Lottery. Is the online lottery site Multilotto legit? Doesn't Multilotto bluff players in terms of payouts? Hardly. If you happen to scoop a prize at Multilotto, the winnings will automatically be credited to your online account, with a possibility to transfer them to your personal bank account in just a few seconds. Every winner gets an email informing them about their lotto victory, but they also may get a call or text message from Multilotto if they happen to win a major prize. Multilotto offers amazing promotions in lottery games, including deposit bonuses, risk-free lottery tickets, and the money back guarantee games. It also has a special feature you don’t get to see very often – a unique web-shop, the so-called “Billionaire shop”, described as “the final destination for winners”, where they can find a wide range of luxury products, such as cars, helicopters, yachts, watches and jewellery. Besides providing the general overview of services offered by Multilotto, this review also aimed to answer the following questions: Is Multilotto legit and a safe lottery agent? Are Multilotto scam protection and security standards tight enough? Are there any scam suspicions connected to it? Can Multilotto bluff users somehow? We tried to help players discover if there are any reasons to think that Multilotto is a fraud. It’s a relatively young resource operating as a middle agent between the players and the lottery providers, and it currently cooperates with 11 lotteries from different countries. Multilotto scam protection, security, and trustworthiness are confirmed both Norton Safe Web and Google Safe Browsing. They comply with the high safety standards. Security of your personal data is guaranteed, since they don’t store your credit card details, nor sell your personal information to any third parties. An e-copy of your ticket could be provided and shipped to you upon request. Multilotto legit status is not doubted as it has a gaming license issued by Curacao eGaming. Multilotto has a user-friendly interface and it’s available in 17 languages. Users can buy tickets for one of 11 popular lotteries from different continents, such as Powerball, Mega Millions, EuroMillions, and EuroJackpot, to name a few. All you have to do is pick the game you like the most and start playing – and if you happen to win the money will be transferred to your account. They will also notify you via email, and if a major prize is at stake you will get a call or a text on your phone. We hope this review will prove useful, and we wish you to become one of the winners in case you decide to try luck with Multilotto.